Q: I only need one time service for my pest control problem. Do you do just one time service and what does it covers? A: Yes. It depends on what the problem is. Q: Do you give guarantee on One Time Service? A: Yes, by appointment only within 48 hours. Q: I want to go on a Monthly, Bi-Monthly or Quarterly Service, do I have to pay extra if I make a trouble call after the regular service is performed? Q: What other extended services can you provide for Pest/Termite Control? A: For Termite Control, we can do annual termite service. 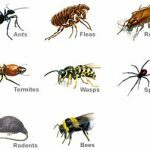 We also provide all different types of scenario for Pest Control. Q: I have a restaurant and I want to maintain good sanitation to avoid citation, but I don’t want spraying to be done, is there other method of control you can use? A: Yes. We have bait stations, gel & other up to date methods that can be used in lieu of spraying. Q: My place had just been service for Roaches, how come I still can see them and seemed like it got worst? A: Most products or chemicals do not work immediately on the infestation; it takes time to kill all generations, from young to adult. Q: We have Bees swarming in our backyard, & we want to get rid of them, what should we need to do prior to the coming of the pest control technician to make them go away? A: You need to avoid the area, avoid loud noises and avoid any kind of disturbances. Q: What type of service can you provide for Tenants under Section 8? A: We can provide MT, BM and regular reports of sanitation condition. A: You need a Termite Inspection Report because it is required by the lending/mortgage company or other financial institution for the special reason of checking & treating for termite activities, and to repair or replace structural damage that the property may have. Q: How long does the inspection take? A: It takes an average of 30 minutes to 1/1/2 hours depending on the size of the property. Q: What’s involved during the inspection? A: The inspection involves walking through, doing a visual inspection, and checking for structural damage caused by Termite Activities or fungus (Dry rot). Q: What methods of Termite eradication are being used today? A: There are many Termite Control system out & used today, just to name a few; Local Chemical Treatment & Fumigation. A: Prices vary by the size of house. Also price is given by the amount of cubic feet/measurement of the house. Q: Will Fumigation kill both Dry wood & Subterranean termites and other insects? A: Fumigation today which mostly uses Vikane Gas, this gas targeted very specific insects. It will kill Subterranean termites above ground only & will not kill the queen under ground. The primary use of Vikane gas is to kill Drywood termites.